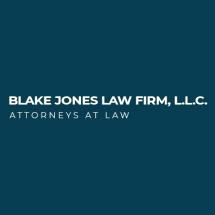 Located in New Orleans, Louisiana, the Blake Jones Law Firm, L.L.C. is here to help you and your family recover the full amount of compensation and benefits to which you are entitled following a debilitating injury or devastating loss at your place of employment or as the result of an accident caused by someone else's negligence. In addition, our law firm provides exceptional defense counsel and support to those who stand accused or are under investigation for any type of felony or misdemeanor offense. We also offer quality outside business representation on select cases. Our bottom line is that we want to help you obtain the justice you deserve, and we promise to aggressively fight for the most favorable outcome for your situation in order to help you secure a brighter future for yourself and your family. Our team of experienced litigators bring a wide range of experience and backgrounds to our practice, enabling us to successfully resolve even the most complex cases, and we maintain a full house law library and utilize the latest in technology to provide the most relevant, up-to-date counsel possible for your matter. For more information on how the Blake Jones Law Firm, L.L.C. can best serve your needs, you can contact our law office or visit our website to schedule a free initial consultation.